For families that want to keep their photos more secure and private, without worrying about Facebook creepers and random Instagram likers, a new private photo sharing application called Togethera has launched on Android. Previously an iOS exclusive, Togethera only allows you to be added to a group of people who already have your email address. Once a group is formed, you can share photos and videos of kids, family reunions, or anything else all privately through the group. What makes it special for families is that you don’t have to worry about being added or getting friend requests from people you don’t really know. It’s not about seeing what your friends are up to, since you can do that on any other social network, but it’s more about the going ons within your own clan. Inside the app you can also create separate groups of people to share other things with, such as a group for just your cousins who you like to make jokes about other family members with. 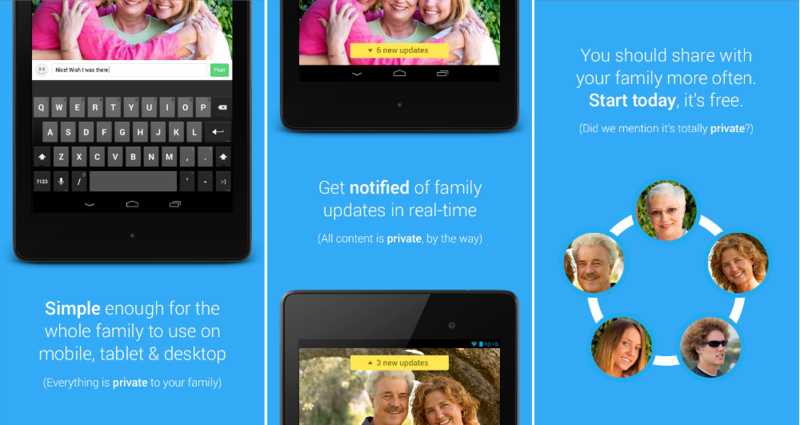 The app is all about family and making sure you are sharing with only your family. The app is free and there are no monthly costs or upfront fees. As a bonus, there are no ads either. Check it out on Google Play and tell your family to hop on board. NO ADS: only your family’s content and nothing else. We won’t share your data with a third party.